LinkedIn is a popular and widely used social media platform. Registered LinkedIn accounts have reached around 467 million, and it’s showing no signs of slowing down anytime soon. The vast majority of these accounts are in a rough shape. Chance are, that you could use a LinkedIn profile makeover, too. LI can be compared to Facebook in terms of popularity. However, one thing to take note of is that they both have different objectives, hence them not competing in the same market. LinkedIn is mainly utilized in the field of professional marketing and is the most popular channel for helping in the building of brands or even to display your skills in a certain area. Moreover, LinkedIn is widely used when you are job hunting or developing partnerships with a wide range of companies. LinkedIn is not only critical for business use; it also plays a key role for individuals. The simple act of crafting your profile exceptionally could be the reason why you succeed in personal development and also in discovering new opportunities in your career. For many recruiters, LinkedIn is one of their favorite places for finding both prospective candidates and clients. Page Name: If you want your page to look like a personal brand, you have to change a random URL to a custom one. You can easily do this in the profile settings. Your Name and Rank/Title: If you want LinkedIn to be used as a professional profile, you have no otherwise but to make it professional. Include the appropriate personal details like your name. Add a Photo: To make your profile work for you, you have to include your real photo. Doing this will make you appear in the Recommended feed more frequently, and people will certainly visit your page. Nonetheless, in spite of all the advantages of having a great profile, one thing to note is that it doesn’t come that easy. 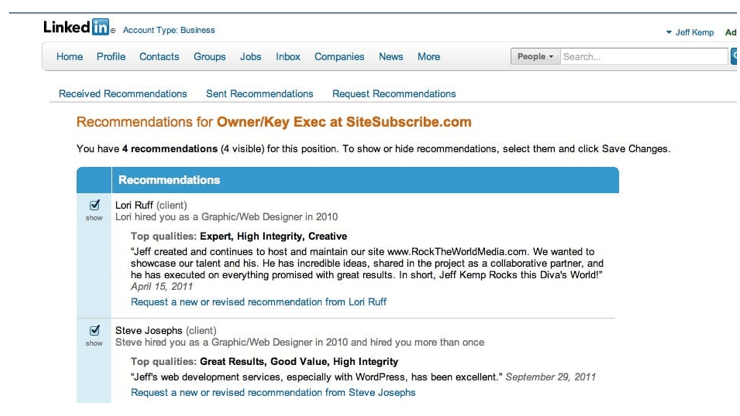 You have to work for the optimization (aka a LinkedIn profile makeover). 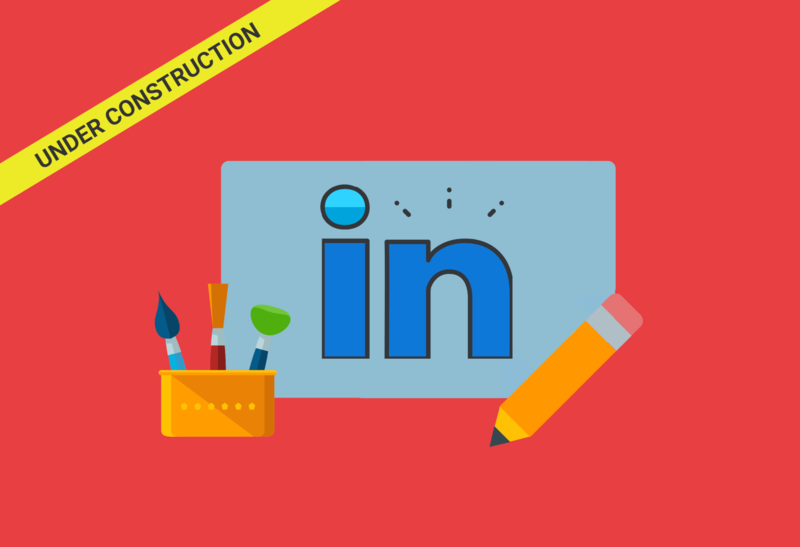 Below are 5 tips on how to do your own LinkedIn Profile Makeover. Your experience is the most crucial thing. However, most companies like individuals who continuously work on their skills and knowledge. If you want to showcase that you never stop with your education and often attend various seminars and workshops, you need to add this information. If you possess any certificates, but still attended some classes, you can as well add this information. Moreover, you can indicate the number of the certificate (if it has one) as proof of possession. 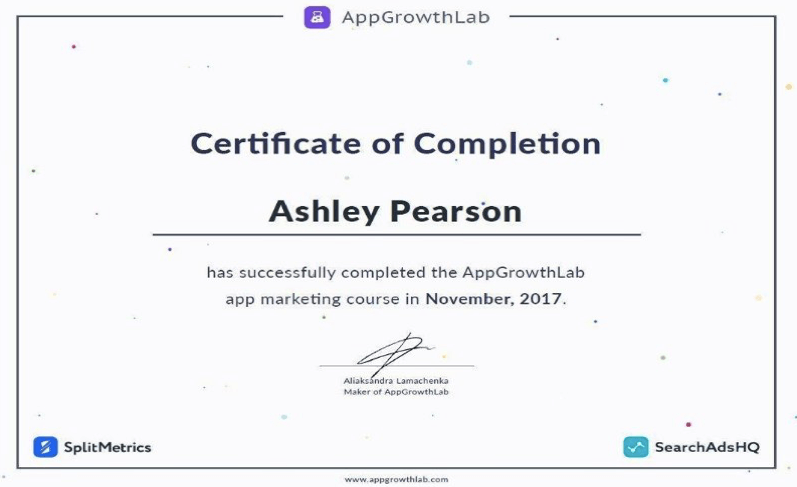 Since you can attach photos to your LinkedIn profile, go ahead and attach pics of your certificates. Your connections can assist you to enhance your reach. All they have to do is to endorse your skills. 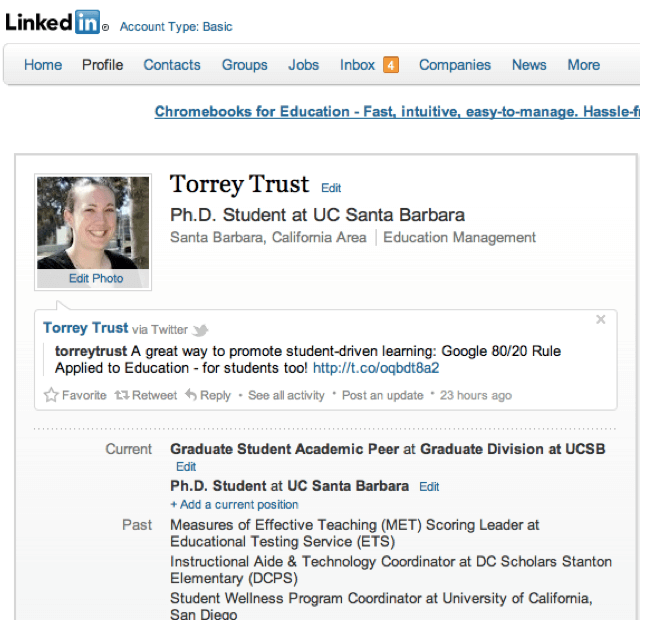 This will show other LinkedIn users that you utilize those skills in your line of work. Request your connections to endorse you. Start endorsing your connections also. You might get some endorsements back. However, there are those who feel that this functionality doesn’t add value to relationships users build via LinkedIn. The first thing people will focus on your LinkedIn profile is work experience. It is the key proof of your professional expertise, one of the main requirements of recruiters, and also the most efficient way to demonstrate that you are a person devoted to your work. This is not a resume that you send to a recruiter. However, it bears some similarities and can serve the same purpose. Include all the organizations or companies that you have worked for. Another important thing is to include details about your responsibilities, achievements, and growth within the organization. In most cases, recommendations work better than experience and connections. Still, it is not easy to get them. You can’t just ask anyone to leave a recommendation for you, as they might not know what to write about you. If you want your profile to be solid, the best thing is to request your associates or ex-associates to write something about your achievements, work, and experience. It will even be great if your current or ex-bosses leave a recommendation for you. Recommendations work in two ways. Firstly, they enhance your profile’s visibility. You will regularly appear in the search if you have recommendations. Secondly, most people tend to trust those recommended by others. Therefore, strive to get a recommendation even if it’s just one. It will go a long way. If you want to portray your expertise and begin to attract people to your profile, you need to become a frequent contributor. On LinkedIn, you can create content for the feed that will be seen by your connections. This is a great way of promoting yourself in case you have enough active LinkedIn users among your connections. Furthermore, you can add a presentation to SlideShare. This will assist you also to promote your business. All slides will be available for search in search engines like Google so that your reach will be extensive. Moreover, another technique is to simply write posts. This is probably the most effective means of establishing contacts in some niches and show that you aren’t just an employee, but someone who possesses strong analytical and research skills. LinkedIn enables you to publish posts on different subjects. For instance, you can write about marketing, cars, international affairs, etc. You’ll be able to find your audience. Also, your articles will be available on different search engines. Thus you’ll be able to attract those who aren’t on LinkedIn. One thing you have to remember is that writing a post isn’t the same as sharing an article. LinkedIn, if used effectively, can assist you to build your brand, find new customers, grow your business and also search for new opportunities. It all depends on you and how you want your page to work for you. You always have to pay attention to your page and update it regularly. If you want to attract people to your profile continuously, you have to keep on working on it. 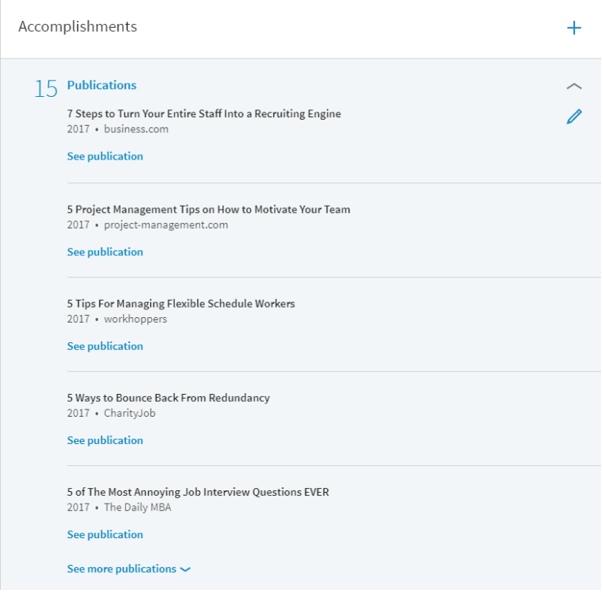 Publish posts frequently, add articles and encourage your connections to go through them. Establishing a LinkedIn page is just as easy as establishing a social media one. However, it looks like it’s not being fronted by most employers or lecturers. How important is a LinkedIn profile makeover? Studies have shown that 98% of recruiters use LinkedIn to search for suitable candidates. If you are in college, it is crucial for you to create an account before you graduate. It’s good to reach out to organizations and establish connections with them before you start looking for a permanent job. See if there’s the probability of landing an internship position. This gives a great impression. Another thing to note is that you should have a professional headline. Most people tend to forget or ignore the headline bit altogether, yet it is vital. Remember to include a background picture that is relevant to the job you’re searching for. The photo you’ll upload should be a professional one and not selfies or cropped pictures. Professionalism is key. First impression matters. In the summary section, make use of the 2000 characters to write about why you should be hired and which organizations you might have worked for. For the experience segment, add all your achievements, projects, and publications. Finally, in the work section, you might have done section, add PowerPoint presentations, media, links, and portfolios. Take your time to create the ideal profile. Someone will easily know if a profile has been created in a rush. Recruiters can see who is available and an employment opportunity will probably depend upon what you have written. The use of keywords can put you ahead of your competition. Overusing the endorsement feature — Most people tend to do endorsements for their buddies that might not be genuine. Friends endorse one another without knowing whether their friends actually have the skills in question. Endorsements assist HR practitioners to spot the best talent worldwide and recruit them to the best payable jobs available. Most times, people don’t accept requests from those whom they might have met during a meeting or even a stranger. Treating LinkedIn like a dating site. Exaggerating your resume — Most people like to over-boost their skills when in reality they lack most of those skills and thus end up misleading recruiters. Personable – For instance, if your message begins with ‘Allow me to introduce myself,’ you need to stop. This kind of message is not personable, and it states the obvious. It’s impersonal. Including the ‘human’ element will increase the chances of getting a reply. To the Point – Even though long messages are at times necessary, whenever it’s a cold outreach you need to ask yourself how comes you have a lot to say to someone you don’t know yet. Strive to write one paragraph (a paragraph here is defined as 5 sentences). Doing this will make you come across as clear and straight to the point, thus leading to a better conversation. Connection First – If you possess LinkedIn premium, then you have some Inmail credits to utilize to send messages to those who are not your connections. If you have connections or perhaps you are in the same group, proceed to connect with that person. Common Ground – Take your time to go through someone’s profile. You might discover that you’ve probably schooled together or even you’re from the same locale. Use these to your advantage. Specifics – Strive to incorporate certain call-to-actions at the end of your messages. The call-to-action indicates a specific time to do a certain task. It will keep you accountable and your connection will feel a sense of urgency to respond. Are you already on LinkedIn? Take note of the hints outlined in this article to enable you to reap maximum benefits from this platform. If you’re not already signed up, do so today. You’re missing out on a lot of networking opportunities! Kevin is a professional educator and a private tutor with over 8 years of experience. He is also a content writer for various blogs about higher education, entertainment, social media & blogging. Currently, Kevin works as a part-time writer for EliteEssayWriters. Brilliant, though I knew almost all there was to know about LinkedIn there are two little nuggets in there I didn’t know about! Thanks, Jo, helpful as always.